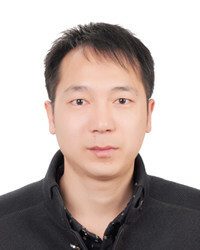 Welcome Dr. Pengfei Liu from Shijiazhuang Tiedao University of Technology to be committee member! Pengfei Liu received his B.Eng. degree and Ph.D. degree in Vehicle Engineering from Southwest Jiaotong University in 2008 and 2015. Then he worked as a lecturer(2015-) at School of Mechanical Engineering, Shijiazhuang Tiedao University. He is the winner (4/10, 2017) of first prize in scientific and technological progress of Sichuan Province, selected to Hebei Province "333 talented person engineering"(2017) and Tip-top talent of Shijiazhuang(2018). As the director, his reseaches have been supported by the Natural Science Foundation of China (NSFC), Natural Science Foundation of Hebei Province, Open object of State Key Lab of Traction Power and several industrial group railway companies, e.g. CRRC Institute. His research interest is in locomotive and vehicle dynamics, vehicle-track coupled dynamics, and train dynamics.